Lara FitzSimmons is a partner at Rakoczy Molino Mazzochi Siwik LLP and is involved in all areas of the firm’s regulatory and litigation practice. She concentrates on statutory and regulatory issues arising under the Hatch-Waxman Amendments to the Food, Drug, and Cosmetic Act; the Medicare Prescription Drug, Improvement and Modernization Act; and FDA’s implementing regulations; with particular emphasis on matters relating to abbreviated new drug applications (ANDAs) and section 505(b)(2) applications, and their associated regulatory and marketing exclusivity rights. Ms. FitzSimmons devotes a large portion of her practice to assisting clients with negotiating favorable settlement and licensing arrangements in connection with pending litigation, and also assists clients with drafting and negotiating joint development agreements, manufacturing and distribution agreements, supply agreements, authorized generic agreements, and other licensing arrangements. Ms. FitzSimmons counsels clients through all stages of a pharmaceutical product’s lifecycle, from the product development and filing stage, through litigation, and on past commercialization. She advises clients concerning patent certification strategies, complying with regulatory guidances, responding to Agency requests and deficiency letters, product labeling, and brand and generic exclusivity matters, among others. 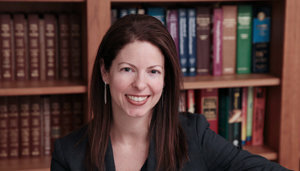 She has extensive experience petitioning the Agency through both the formal citizen petition process and controlled correspondence on a variety of issues, including those affecting clients’ rights to 180-day generic exclusivity, potential blocking exclusivities purportedly held by other NDA or ANDA sponsors, labeling carve-outs, improper use codes, and other issues affecting the rights of the firm’s clients to timely enter the market. Ms. FitzSimmons has been involved in numerous APA actions and emergency injunction proceedings against the FDA and HHS at both the federal trial and appellate levels. Her work in this area has given her experience in litigation involving such drugs as Carbatrol® (carbamazepine), Zosyn® (piperacillin/tazobactam), Neurontin® (gabapentin), Paxil® (paroxetine hydrochloride), Pravachol® (pravastatin sodium), Macrobid® (nitrofurantoin), and Accupril® (quinapril hydrochloride), among others. Ms. FitzSimmons successfully argued on behalf of the firm’s client in preliminary injunction proceedings in the complex regulatory action against FDA involving generic versions of Carbatrol® (carbamazepine), and was part of the team that obtained a final judgment and permanent injunction against the FDA that preserved the lucrative 180-day marketing exclusivity for the firm’s client for generic Paxil®, which helped the client generate more than $50 million in additional generic Paxil® sales. In addition to regulatory matters, Ms. FitzSimmons has been involved in numerous Hatch-Waxman patent infringement suits. She has handled all aspects of litigation, including investigative and written discovery, motions practice, and merits briefing at both the trial and appellate levels, and has worked with clients in numerous emergency injunction proceedings. Ms. FitzSimmons also has represented clients in complex commercial litigation matters in state and federal courts. Ms. FitzSimmons has experience working with the national trade association for the generic drug industry, the Generic Pharmaceutical Association, on preparing and filing amicus curiae briefs in the U.S. Court of Appeals for the Federal Circuit and the U.S. Supreme Court. In addition, she has been involved in the arbitration of other intellectual property matters, such as copyright infringement, unfair competition and licensing disputes. Ms. FitzSimmons was a founding member of the DRI Women in the Courtroom Committee and is a co-author of the DRI publications “A Career in the Courtroom: A Different Model for the Success of Women Who Try Cases” and the Women in the Courtroom Best Practices Guide. Prior to joining Rakoczy Molino Mazzochi Siwik LLP, Ms. FitzSimmons was an associate with Jenner & Block LLP and Lord, Bissell & Brook LLP.